You’ve probably never heard of it, but Pebble Beach is a little-known area situated on the Monterey Peninsula on the coast of California. Other than the occasional golf tournament and local charitable classic car shows, not much really goes on there. 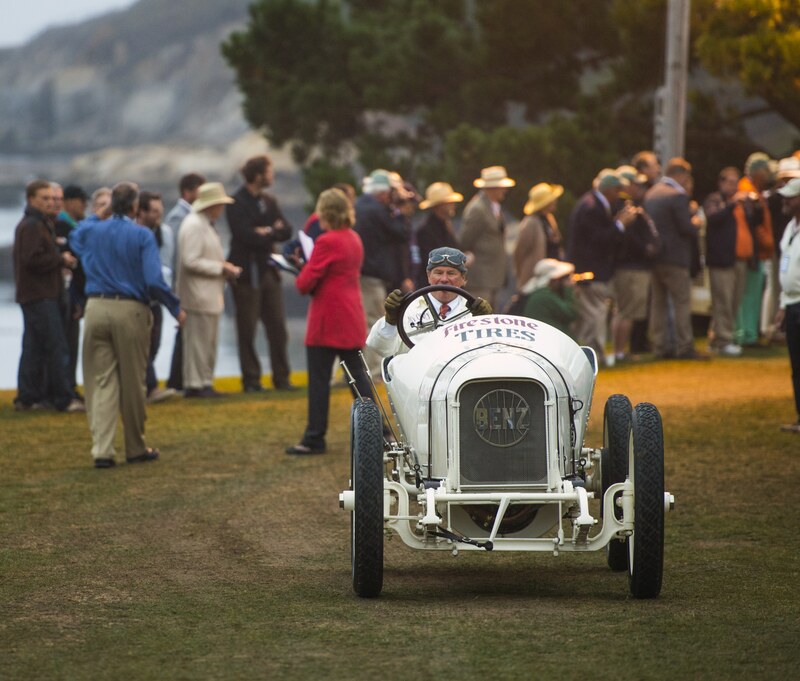 But, since you’re here and if you are into car shows, you might want to mark your calendars for next week…as they plan to host the 67th annual Pebble Beach Concours d’Elegance on the 18th green. All jokes aside, the Concours truly is considered the most prestigious car show in the world. That’s not necessarily and just because of the cars, which are truly amazing and the most prestigious in the world…but simply because this is an event for the stars of the industry. The charitable events of Pebble Beach have raised over $20 million for the local United Way chapter…nearly $2M of that last year alone. 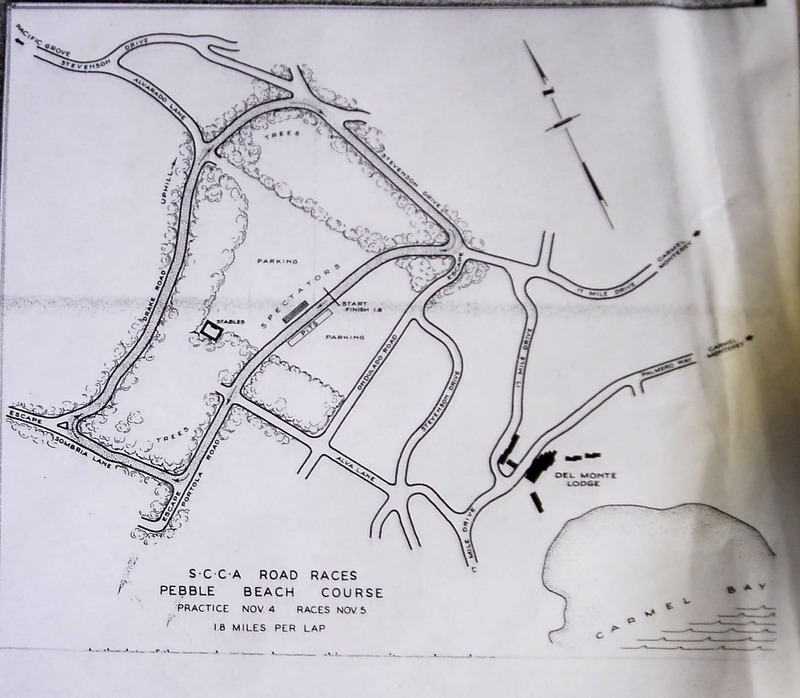 Pebble Beach has a long history over the last 67 years, but it was quite different when it was born in 1950 than how we know it today. It began as a road race…America was recovering from the second world war and soldiers returning home brought with them a new idea of racing…racing on public roads instead of closed courses because of the natural twisting and winding they provided. 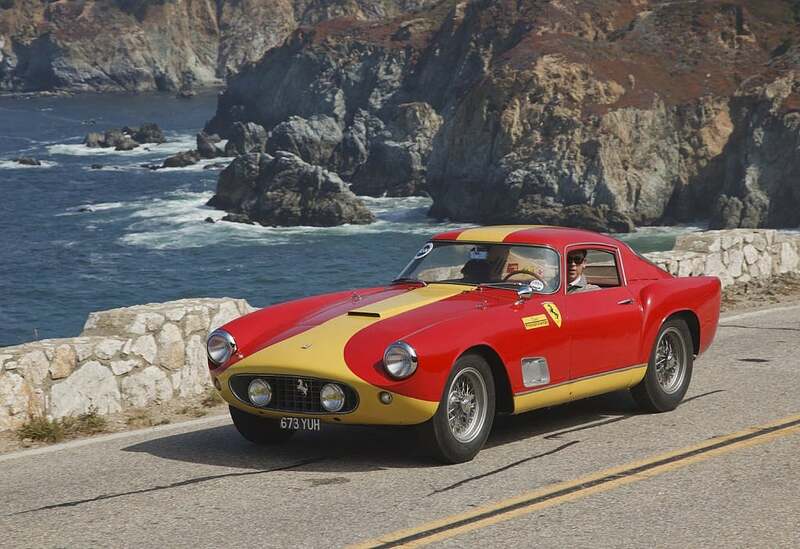 One of the preferred race routes was a winding narrow road near Pebble Beach. Under the Sports Car Club of America (SCCA) rules, racers were invited to race a 2-mile loop that wasn’t fully paved. 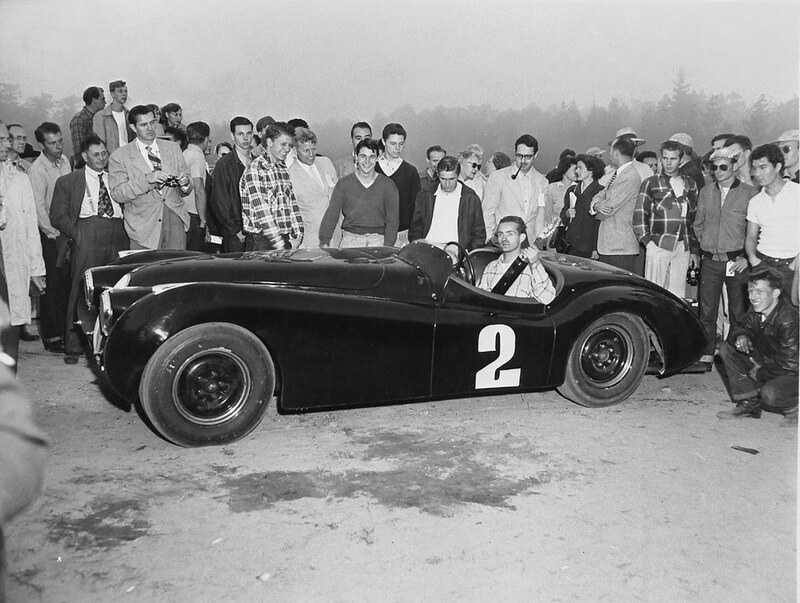 American Phil Hill would take home the race title that year in a Jaguar XK 120. Phil Hill after the first Pebble Beach Road Race in 1950. Photo credits to Richard Scroogs and Louis Galanos for sharing. 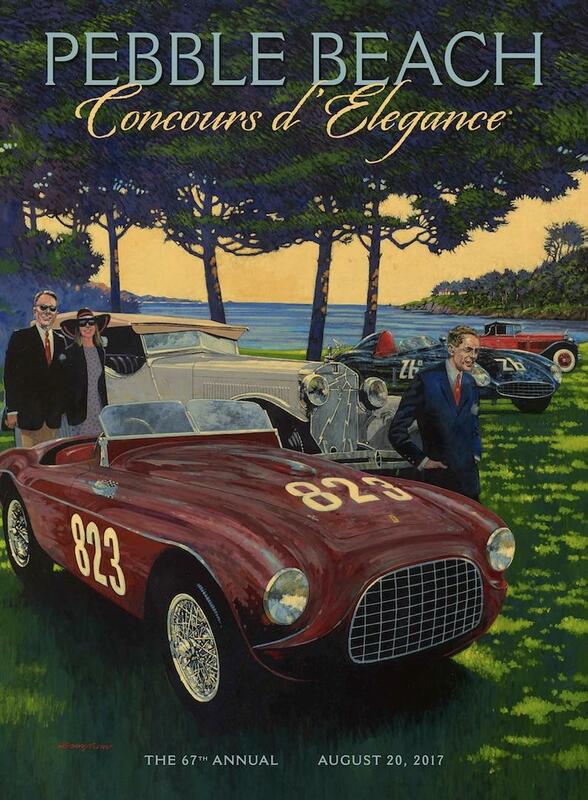 Alongside the race events in the very (and first) year, the Concours d’Elegance was established simply as a means to entertain spectators. For about the first five years of the event, the cars entered were mostly new models, presented and judged for their style and beauty. 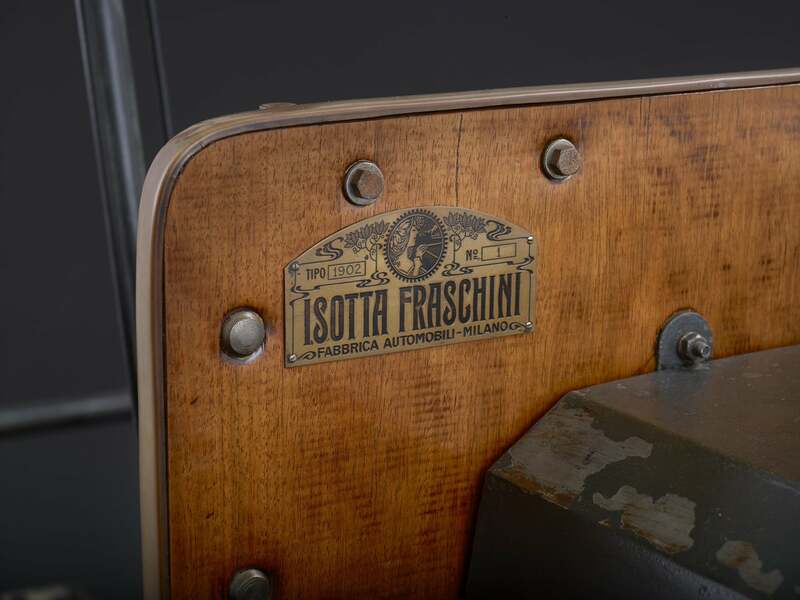 During this same time, enthusiasts and collectors started taking a big interest in older classic cars. Things really changed at the Concours in the 1970’s when most automakers were asleep at the design wheel. “Classic” cars took more center stage than newer ones and it’s been growing in that direction ever since. 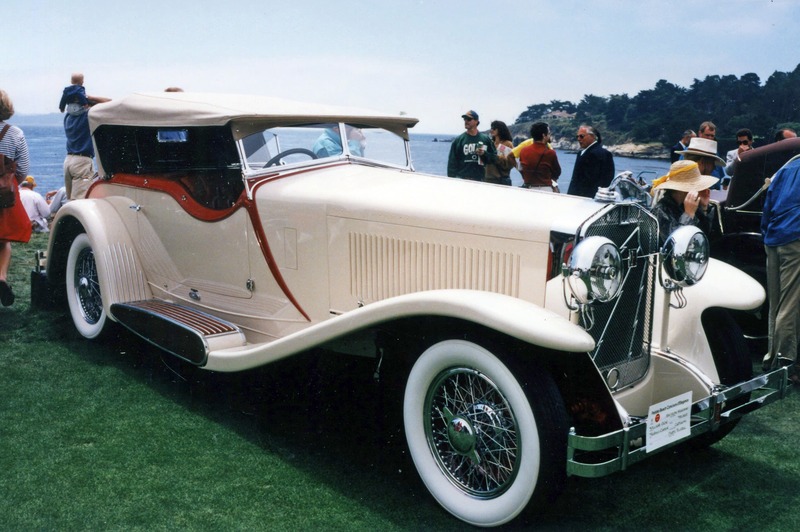 Oddly though and even today, the Classic Car Club of America defines “classic” as being built between 1915 – 1948. We bend those rules a bit here but more on that in an upcoming piece. So get out your checkbooks, break your kids’ piggy banks, whatever it takes and send us some great pictures from the event. We were diligently restoring a 1995 Range Rover in hopes of being judged, however we’re missing some unobtanium door speaker covers so we’ll just have to wait until next year I suppose. 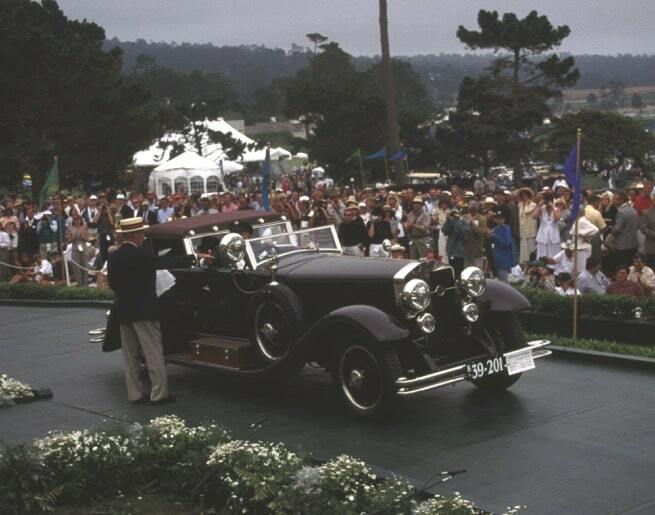 This entry was posted in News/Events and tagged california, concours d'elegance, pebble beach.